It’s the most wonderful time of the year! Friends and Families gather for the holidays and if you are in need of some out-of-the-house activities to keep them entertained, here are some things to check out this time of year in Walton County. You won’t be able to find snow around here but Baytowne Wharf has the next best thing….. ice! 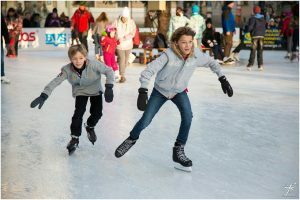 Baytowne on Ice at the Apex Skating Pavilion will be sure to keep the family entertained! At $11 for 90 minutes of skate time and $3 skate rentals, it is an affordable and fun activity for all ages. The rink is open every day, including Christmas. Skating hours and additional information can be found on the website HERE and unscheduled closures due to unforeseen circumstances can be found on The Village of Baytowne Wharf’s Facebook Page. The Ice skating rink is seasonal so be sure to take advantage of it before February 10th! One of the best parts of the holidays is driving around after dark and enjoying in the twinkling lights displayed on houses and trees. Some keep it simple with lights along the trim of their house while others enjoy showing their holiday cheer with yard décor in addition to lights. Christmas Reflections in DeFuniak Springs will surely provide a magical evening for couples or carful’s! 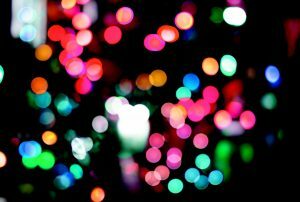 From now through December 31st, millions of Christmas lights will be shining bright in DeFuniak Springs Historic District from 5 to 9 pm. The millions of lights multiply as they are reflected off the lake. Admission is $3 per person and children under 6 are free. On Fridays, Saturdays and Sundays, High Horse Farm LLC will be providing horse drawn carriage rides for an additional fee. Additional information and driving directions can be found HERE. 7pm. Enjoy fun and games with family and friends until the spectacular firework show at midnight. Celebrate the end of 2016 at The Village of Baytown Wharf! 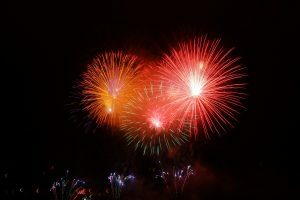 There will be activities for all ages, starting at 6 pm with live music by Stevie Hall, kids activities including face painting and the first of two firework shows at 8 pm. Then, welcome in 2017 with live music, dancing and a second firework show at midnight. Don’t forget about the year-round Farmers Markets throughout the county! Seaside Amphitheater offers locally grown food on Saturdays from 8 am to 12 pm and Tuesdays from 9 am to 1 pm. Rosemary Beach Community Town Center also offers fresh produce among other goods on Sundays from 9am to 1pm. Visit Grand Boulevard Farmers’ Market at Sandestin on Saturdays from 9 am to 1 pm in the Grand Park. 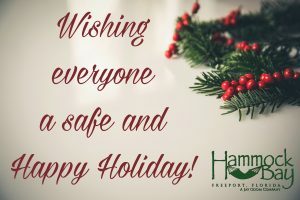 Wishing everyone a fun and safe holiday season and a wonderful 2017!